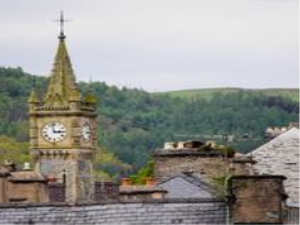 When we first talked about starting Machynlleth Comedy Festival above of all we wanted to create somewhere where people came to have fun, and get away from it all, whether this be the attendees, the comedians or the festival team. It was all about taking a different approach with an aim of creating a spirit of experimentation and intimacy. We’re passionate about the thrill of seeing live comedy in intimate places, and the glorious, picturesque and enchanting town of Machynlleth gave us a wealth of interesting and unique performance spaces in which to do this. Most of all we want people to laugh, have a great time and find a warm welcome in the heart of Wales. For more news about the festival and to buy tickets visit www.machcomedyfest.co.uk or get up to date news by following @machcomedyfest on Twitter.